This one hour intro class is great for those brand new to bouldering. We will cover everything you need to know to feel confident climbing at the gym, from how to fall properly to the basic skills and techniques that will help you as you start climbing. 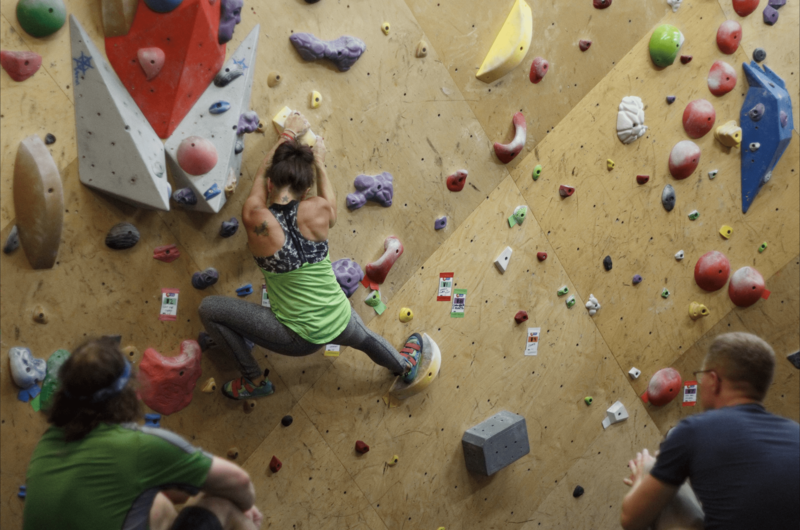 This two-week class is great for those who are relatively new to bouldering. Movement 101 introduces movement and fundamental climbing technique that will revolutionize the way you boulder as well as help prevent injury. Private lessons are a great, flexible option for those just getting started or those who have been climbing for some time who want more specific instruction. Our coaches will custom fit every one hour lesson to your specific needs and goals, whether that be the basics or more advanced movement and technique.